How do I buy a Diesel Barbershop Franchise? 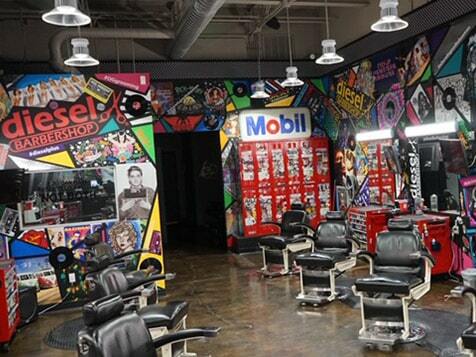 It's a great time to become a Diesel Barbershop franchise owner! According to Forbes, barbering is the fastest-growing profession in the U.S. with a rough growth rate of 10%. Candidates are asked to have $70,000 liquid capital and can expect the total investment to cost $250,000 - $350,000. Annual revenues for the barbershop hair car industry are expected to reach $910 million by 2020. Join the fastest-growing sector in the Hair-care industry today. 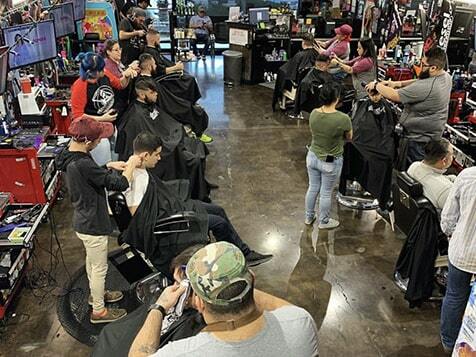 Diesel Barbershop, a manly, cool, inviting and very comfortable barbershop for customers to get haircuts, shaves, beard trims, grey hair coloring and shoulder massages is seeking candidates to expand with them across the U.S. Learn more about opening this unique, modern-day version of the vintage barbershop which serves patrons a complimentary drink as they relax. Open Diesel Barbershop in any of these available states: AL, AK, AZ, AR, CO, CT, DE, FL, GA, ID, IL, IN, IA, KS, KY, LA, ME, MA, MI, MN, MS, MO, MT, NE, NV, NH, NJ, NM, NC, OH, OK, OR, PA, SC, TN, TX, UT, VT, WV, WI, WY, DC. The Diesel Barbershop appeals to what today’s customers want in a haircut experience: part barbershop, part old-school record store, part arcade. Diesel is a barbershop with high quality haircuts, shaves, beard trims and shoulder massages; All done while having a beverage. Now is a great time to invest in a Diesel Barbershop franchise. There are 440,000 barbers in the U.S.
Point of Sale System – The Diesel Point of Sale System is a multi-functioning tool which allows Franchisees to effectively run their business. It includes client focused technology which allows clients to book appointments without talking to a receptionist; tools to manage your employees, train new employees, manage the schedule, customize different user roles and manage sales. Franchisees are able to access the POS system from anywhere with an internet connection. Each Diesel Barbershop will have a 5 mile diameter / 2.5 mile radius as the Area of Protection. Each shop will be in a retail space of approximately 1,400 square feet. 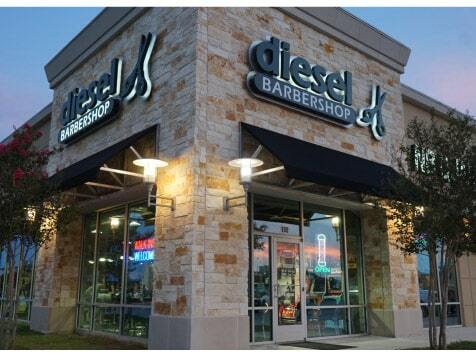 The Diesel corporate team will find sites and negotiate leases for all franchisees. Interested in opening a recession-proof business that works in any market? Complete the inquiry form to speak to a member of the Diesel Barbershop team today.